Does not include corner balance or ride height adjustment, assist system calibrations extra, does not include Carrera GT, 918 Spyder.Porsche vehicles only. Coupon not valid with any other offer or previous purchases. Must present coupon at time of purchase. Limit one coupon per person. Other restrictions may apply. Void where prohibited. Have your Porsche inspected on us! Schedule your appointment here to redeem. Porsche vehicles only. 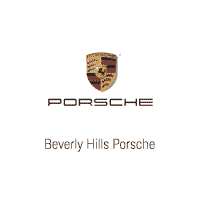 Valid only at Beverly Hills Porsche service. Other restrictions apply.